Carlisle CC is delighted to announce that Michael Slack has decided to return to Edenside on a two-year deal as the club's new professional for 2019. The 23-year-old, who came through the junior ranks at Carlisle to play first team cricket, has spent the last few years at Wigton, where he has excelled with both bat and ball. Last season, Michael amassed 965 league runs at an average of 50.79 and captured 28-wickets at 22. With outstanding cup performances too, he became one of a select few batsmen who have scored more than 1,000 runs in one summer. His signature is reward for the hard work done by first team skipper, Marc Brown, who identified Michael as the clubs top target. "Having chased Slacky for three years, it's a great relief to finally secure his signature," said Marc. "For me, he's the best all-rounder in Cumbria and he knows exactly what we are trying to do at Edenside in terms of growing our own young players and forming a successful club. "We want to be able to offer the best club coaching programme within the county, and with Michael as professional and James Bell as junior head coach, I have every faith that 2019 will be a successful summer." 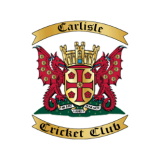 Carlisle finished fourth in the North Lancs and Cumbria Premier in summer 2018 despite difficulties securing a professional for the duration of the season. Everyone at Carlisle CC extends a huge and warm welcome to Michael and wishes him the greatest of success at Edenside.